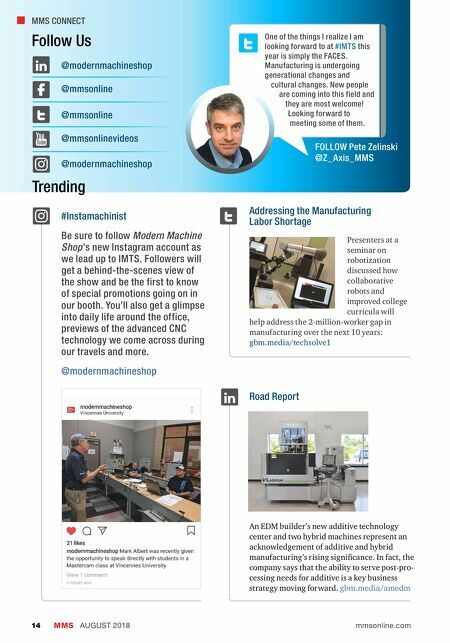 Milltronics USA new ChipBoss™ software gives conversational program users the productivity of CAM systems or high-end controls with faster cycle times, longer tool life and more accuracy. Digital Setup Assistant lets cell phones or tablets extend control to reduce setup time; and Bi-Directional Turning Cycle halves the time to turn many parts. 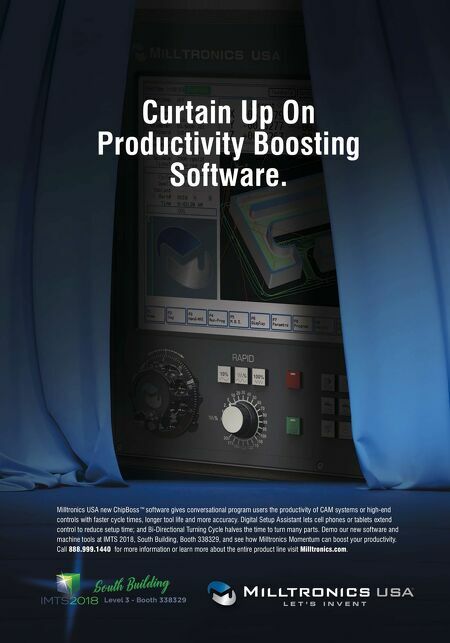 Demo our new software and machine tools at IMTS 2018, South Building, Booth 338329, and see how Milltronics Momentum can boost your productivity. Call 888.999.1440 for more information or learn more about the entire product line visit Milltronics.com.